There has been a meteoric growth in the number of coworking spaces in the United States, from an estimated 14 in 2007 to more than 11,000 in 2017. The number is expected to balloon to over 26,000 by 2020! This growth has mirrored the growth of workers working in the “gig” economy, with an estimated 40 percent of the population to be engaged in some sort of freelance work by 2020. In fact, a coworking company is poised to become the largest user of private office space in Manhattan. Coworking spaces are shared working spaces that have been created to allow entrepreneurs, freelancers, start-ups and work-from-home professionals a place to work without many of the overhead expenses associated with a traditional office space. Users can access shared or private office space, shared resources, networking opportunities and an environment that is conducive to productivity. Membership levels are offered that can be tailored to any entrepreneur’s needs and budget. As the popularity of coworking spaces has increased, we are seeing more amenities being offered; from desk space to a private office, meeting rooms, private space to make phone calls, mail services and even storage space, most entrepreneurs can find a coworking space that will meet their needs. We are also starting to see some companies add coworking space to their existing retail or commercial spaces. Cowork Cafe in Arlington is a coffee shop/cafe with coworking space available, as well. 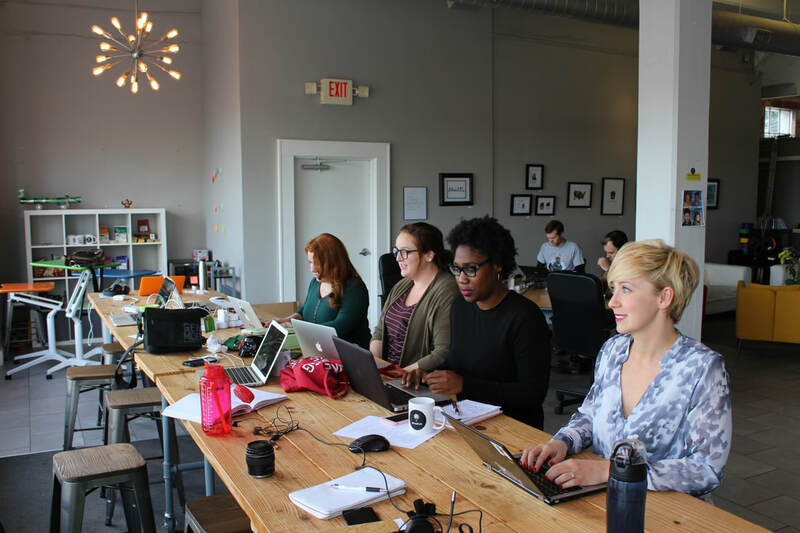 Even big box retailers like Staples and Office Depot are getting into the coworking market! In Staunton, the Innovation Hub was created with the help of a Building Entrepreneurial Economy grant and is a great example of all of the possibilities of this type of work space. While it is unclear whether coworking spaces are here to stay, the prevailing attitude is that they are and will continue to disrupt the current model of how and where people work.